Thai Holiday is easy to love. It's a relaxing mix of crunchy and chewy, sweet and spicy. Flaked coconut gives your snack experience a laid-back island feel. 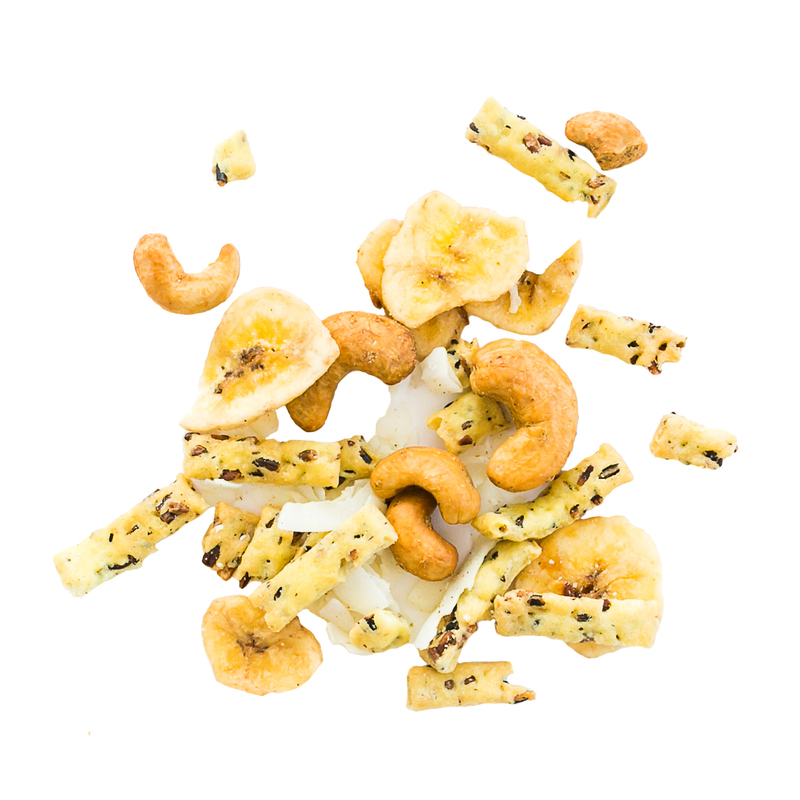 The crunchy rice sticks add a burst of salt that complements the sweetness of the banana. Cashews are considered brain food and immune system boosters, while coconut helps build strong bones. This snack is so much more than just a virtual getaway. Enjoy your stay!